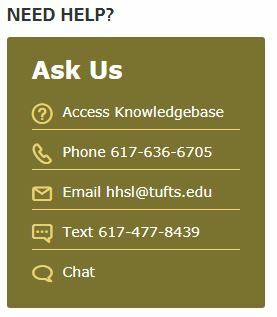 Reserves at Tufts HHSL Join us in welcoming Stephen Gabrielson to the library! You may have noticed staff surveying the floors of the library and wondered what they were up to. What is being recorded on those Ipads when they are walking around? Does this affect me in any way? 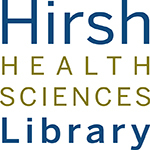 The Hirsh Health Sciences Library has started conducting a statistical survey to find out how many people are using the library, how resources are being utilized, and when it is being used most. This information helps us to identify how patrons use the space and what we can do to make improvements in the future. Rest assured, we are NOT recording any identifying information. We hope that this data will help provide valuable information that will aid in future decision making. If you have any questions please feel free to ask us.